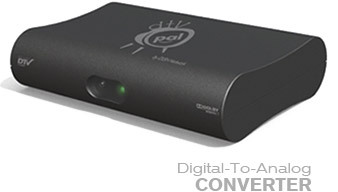 This is an excellent converter box made by Dish Networks. Picture quality is among the best picture quality group in Consumer Reports. Operation is also very polished. It’s probably because the design is borrowed from Dish Networks’ satellite unit. However, a lot of users complain about software issue on the unit that renders the converter unusable unless you unplug and plug it back to reset the unit. That’s why a drop in rating. Excellent picture quality that’s close to what you get from DVD. The programming guide is the highlight of this unit. It’s very polished and user friendly. This is made by Dish Networks after all. The remote may be a little complicated for user who doesn’t care about advance features. Someone stole coupons out of mail and need help with 2 boxes. please help!!! !